Families should put a jug of water on the table at mealtimes and stop buying colas and lemonade for their children, say nutrition experts. Sugar-sweetened drinks, including sports drinks which are extremely high in sugar, are a major contributor to the obesity epidemic and a particular problem for children, who consume more of them than adults, say experts. 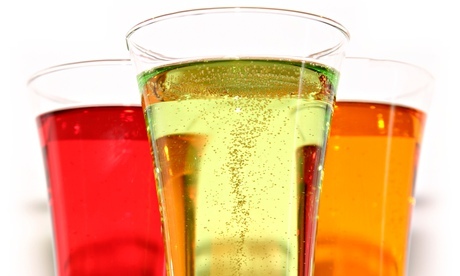 Regulations to cap the sugar content of drinks and taxes have been canvassed, but Susan Jebb, professor of diet and population health at the University of Oxford and chair of the government’s responsibility deal with the food and drink industry, said the best approach is for parents to keep sugary drinks off the meal table. “Choose something else – drink water. Once they have been weaned, they should be drinking water,” she said. Sugar is an issue because it is high in calories, as is saturated fat. “It is not something miraculous or unusual about sugar. It is a calorie effect,” said Jebb. The scientists, speaking ahead of new scientific guidance on carbohydrates in the diet including sugar, expected to be issued by the government’s advisory committee on nutrition on Thursday, said foods high in saturated fat, more calorific than sugar, were just as much a problem. Confectionery, biscuits, cakes and chocolate contain sugar and saturated fat. Sanders spoke of “junk food man”, eating cakes and biscuits containing saturated fat and sugar. In animal studies, high sugar diets alone do not produce obesity, but high fat and sugar diets do. But the food environment helps nobody. Negotiating supermarket aisles, he said, “you have to go through the walk of shame, surrounded by high calorie sugary snacks”. If sugar is addictive, it is probably a behavioural addiction rather than an addiction to the substance itself, said Dr John Menzies, research fellow at the Centre for Integrative Physiology at the University of Edinburgh, who is working on an EU-funded project called Neurofast.